Jean-Bernard Lévy, Chairman and CEO of EDF, unveiled the Group’s Electric Mobility Plan on 10 October 2018. It aims to make EDF Europe’s leading energy utility in electric mobility by 2022. 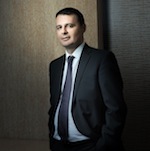 Interview with Yannick Duport, Group Head of Electric Mobility since last November. “The transport sector currently accounts for close to 20% of greenhouse gas emissions in Europe. With this in mind, we believe decarbonised electricity is the solution of the future for clean transport. Electric mobility will see robust growth over the coming years. This is clearly a societal issue, one that affects all citizens and that will be resolved in large part on a territorial level. What could motivate people more than the prospect of coming together to tackle a challenge as important as global warming and improving the quality of the air we breathe? EDF previously launched its Solar Power Plan in December 2017 and its Electricity Storage Plan in March 2018. 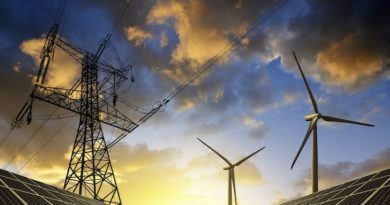 With this third Plan to support energy transition, the Group is reaffirming its goal of becoming the leader in carbon-free electricity production and in the development of new uses of electricity. Our aim in launching the Electric Mobility Plan is to become the leading energy utility active in this field by 2022 in our four main European markets: France, the UK, Italy and Belgium. The environment is currently very favourable for such development. Growing public awareness is encouraging society, policies, regulations and manufacturers to move toward lower-carbon solutions. At the same time, investments are being announced in electric mobility, batteries and charging infrastructure. EDF first began testing electric vehicles in 1972. We were therefore among the pioneers in this field, thanks to our R&D! The road to developing electric vehicles has not been smooth by any means, but we believe that conditions are now right for this to quickly become a mass market. › Strong public opinion: 83% of people in France believe1 that electric mobility can help address the problems currently being faced by urban areas, particularly air quality issues. EDF and its subsidiaries intend to supply electricity for 600,000 electric vehicles, rep- resenting 30% of the market in France, the UK, Italy and Belgium. Starting in 2019, it will launch comprehensive offerings in each of these markets, including the supply of low- carbon electricity, recharging solutions for all customers with access to a parking space, and services to optimise the charging and use of vehicle batteries. EDF group will also be the leading operator of public and private charging infrastructure in its four core European markets. Through notably its subsidiary Izivia (formerly Sodetrel), the Group is working to deploy 75,000 stations and give its customers access to 250,000 interoperable terminals in Europe by 2022. 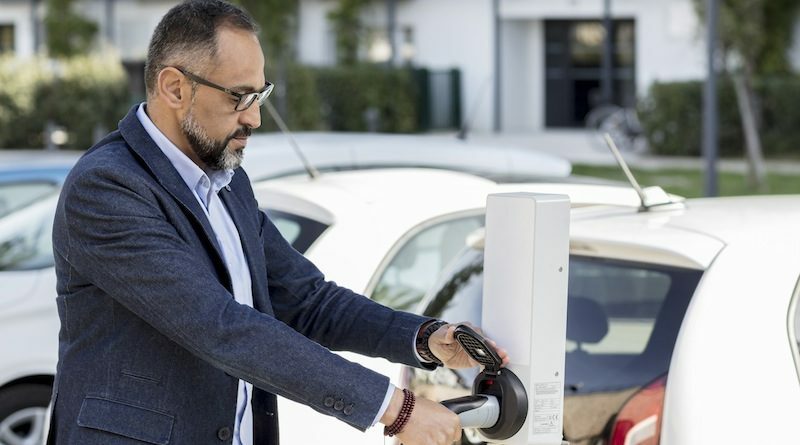 Worthy of mention is the Corri-Door fast charging network developed with support from the European Commission, which makes long-distance travel possible by ensuring that a station is available every 80 km. The expertise and experience that IZIVIA has acquired with E-VIA FLEX-E (thanks to the support of European Commission) can be leveraged in extending the Corri-Door network with two ultra-fast charging stations. Such projects allow us to develop solutions that guarantee cross border service continuity between Belgium, France, Italy and the UK. Lastly, we are developing innovative charging solutions for customers who do not have parking spaces, notably through an approach to innovation that involves collaboration between our R&D department and EDF Pulse Croissance, the Group’s start-up incubator. Electric mobility will transform power systems, as an electric vehicle is also a battery that can be used to balance loads on the grid when demand is high. With the Electric Mobility Plan, EDF intends to take the lead in the smart charging market in Europe with a goal of operating 4,000 smart charging stations by 2020. European partnerships and financial backing from the European Commission have helped us deliver innovative solutions. A very large number of companies are involved in electric mobility. They are positioned at different levels of value chains that have until now been disconnected. But a new value chain is taking shape to address the environmental, industrial and commercial challenges we face today. EDF group is a driving force within this ecosystem of companies that is constantly growing and changing. We have partnered with major players in the automotive industry, as well as with new entrants who are developing highly innovative solutions. Our partnership with Renault involves developing joint offerings and testing solutions in isolated areas and large cities. 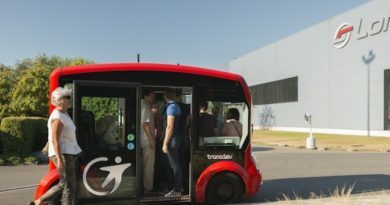 We are working with another major French equipment manufacturer on the battery technologies and charging solutions of the future and the development of mobility services. In England, EDF Energy and Nissan International have teamed up to jointly develop mobility, smart charging and second-life battery solutions. Our complementarity with a major Japanese car manufacturer is paving the way for new types of cooperation in smart charging and specifications for hydrogen charging stations. Since 2014, EDF group via its fully-owned subsidiary Citelum has had a commercial and technological partnership with German start-up Ubitricity. The latter has developed an innovative solution that allows charging from streetlights, which is already in use in several countries in Europe and elsewhere. 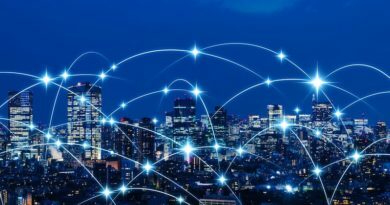 Citelum and Ubitricity have forged a strategic partnership to integrate this charging solution into Citelum’s “smart city” offering. Lastly, the partnerships created through EU projects have us working with the best industrial firms, SMEs and academics. There is no question that financial support from the European Commission is enabling the development of innovative Europe-wide projects. I am convinced that EDF has everything it takes to succeed: 35 million customers who have placed their trust in us in Europe, a network of competent partners, a global mix that includes 87% decarbonised elec- tricity and extensive experience with electricity uses. Timescales are long in the power industry. 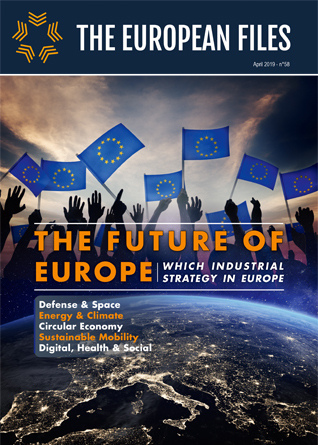 We are already laying the groundwork for the coming decades and anticipating the transformations that will be necessary to allow tens of millions of electric vehicles to move throughout Europe.